We have worked closely with charities to develop a flexible, specialist product that meets the diverse needs of different types of charities as well as community interest companies, social enterprises and other not-for-profit and voluntary organisations. 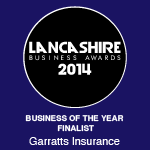 In the current funding environment, a major insurance loss could have serious consequences. Our specialist, cost-effective insurance protects you from financial losses designed specifically for the charity, voluntary and not-for-profit sector. Our team of professional specialists produce cover that matches the exact needs any organisation. This gives you complete assurance that you are fully protected against the many and various risks that could cause serious damage to your finances and service delivery. 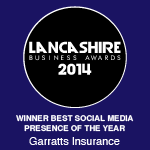 Garratts Insurance Brokers Limited is authorised and regulated by the Financial Conduct Authority.